Another employment opportunity brought Mr. Castro and his family to Tampa, FL in 1991 where he quickly began to establish roots. He attended school at St. Lawrence and Tampa Catholic. While at Tampa Catholic, he played three varsity sports, enrolled in the honors program, was elected senior class president and ultimately graduated with a Bright Futures Scholarship. Mr. Castro left Tampa for Tallahassee and attended Florida State University for his undergraduate studies. He received a B.S. in Psychology with honors, posting a 3.72 GPA and finishing in only three years. While at FSU, Mr. Castro was a treasurer of Pi Lambda Phi Fraternity and worked as a substitute teacher with Leon County schools. After completing his undergraduate studies, Mr. Castro was accepted to The University of Florida College of Law. As a student he was an active member of the John Marshall Bar Association and was accepted into the school’s study abroad program in Montpellier, France. He received a Juris Doctorate in 2004 and passed the Florida Bar exam on his first attempt in 2005. Mr. Castro began his legal career with Bell, Leeper, & Roper, P.A. in Orlando, FL where he represented litigants in both state and Federal Court on matters of civil liability, personal injury, insurance defense, and wrongful death. The experience and knowledge gained in that position, has been vital to his success in his practice representing individuals. Wanting to return home to his roots in Tampa, he accepted a position as an assistant state attorney with the State Attorney’s Office for the Thirteenth Judicial Circuit. In this capacity, he quickly rose through the ranks of the juvenile, misdemeanor, and felony divisions, bypassing several lawyers with longer tenure. As a prosecutor, Mr. Castro litigated over 300 trials, hearings, and motions. His extensive litigation and courtroom experience puts him in a very elite class of litigation lawyers. In 2008, Mr. Castro joined former Thirteenth Judicial Circuit chief prosecutor Robin Fuson in his law practice, where he represented clients on matters of criminal defense and personal injury. His reasonable yet confident demeanor quickly gained him the respect of colleagues and opposition counsel alike, who described him as a knowledgeable, persuasive, and skilled litigator. He received many letters of appreciation from clients expressing gratitude for his dedication, kindness and attention to detail in handling their cases. In 2010, Mr. Castro joined family law attorney Christina Anton Garcia to form Anton Castro Law. His extensive knowledge of criminal law, personal injury, and litigation, represented major contributions to the firm. As a business owner, Mr. Castro was steadfast in his commitment to his clients and the Tampa Bay community. 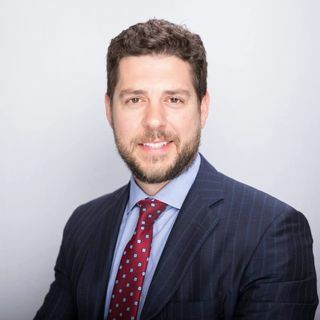 In an effort to best serve his clients, Mr. Castro joined the firm of Ligori and Sanders in 2019. The move allowed for greater team collaboration with several well-seasoned attorneys all of whom are committed to exemplary client service and excellence in the practice of law on all matters of personal injury. Mr. Castro and his family have been an active part of the Tampa Bay community since 1991. Mr. Castro is a member of the board of directors for the First Tee of Tampa Bay, a non-profit organization aimed at teaching youth positive life skills and lessons through the game of golf. Additionally, Mr. Castro volunteers with Lawyer’s for Literacy, which assists at-risk students improve reading and writing skills. He is an avid outdoorsman and loves spending time with his family and dog, Junior the Boykin Spaniel.